The reclusive British street artist Banksy has said in a bemused social media post he was not involved in a major exhibition of his works currently on display in Moscow. The Banksy exhibition has been running at the capital's Central House of Artists since the start of June and boasts around 100 original works, on loan from galleries and private collectors. But the artist himself said he had no idea the display was taking place, after he was sent a picture of a banner advertising the event in Moscow. 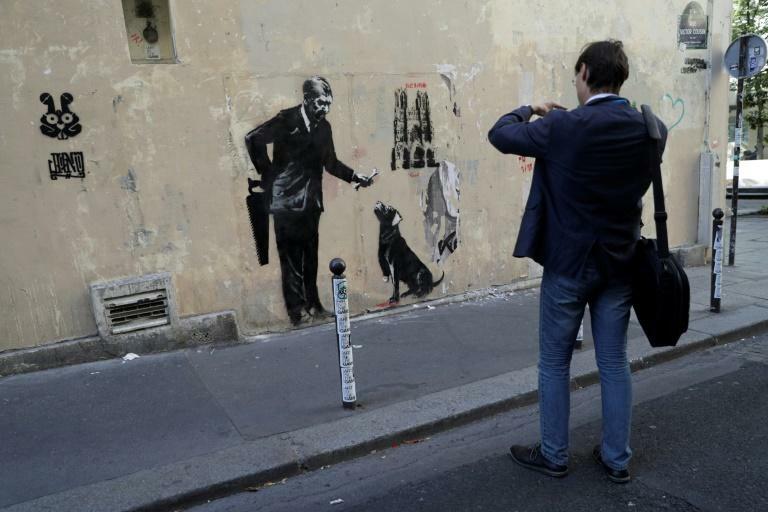 "I saw this and thought of you," a contact of Banksy told the artist in a conversation posted to his verified Instagram account on Wednesday. "What the hell is that?" the artist replied. "I wish I could find it funny. What's the opposite of LOL?" he said after being informed guests were being charged about 22 euros ($25) to visit. Ticket prices in fact range from 550-1400 rubles (7 euros, 8 dollars - 18 euros, 21 dollars). "You know it's got nothing to do with me, right?" he asked, the screengrab of the exchange showed. But the guerilla artist suggested he was not "the best person to complain about people putting up pictures without getting permission," after his interlocutor suggested he release a press release disavowing the event. Organisers of the exhibition said in an Instagram post they had never promoted the event as authorised by Banksy and did not have his permission to display the privately owned works. The artist from Bristol, southwest England, made his name with clandestine street murals but has also produced a treasure trove of other kinds of images as the value of his work soared. An exhibition of his lesser-known works is currently on display in London.